AOMEI Partition Assistant Pro is the 32 bit or 64 bit versions of Windows 7 best hard disk partition tool software, which allows you to resize, merge, copy, align partitions. 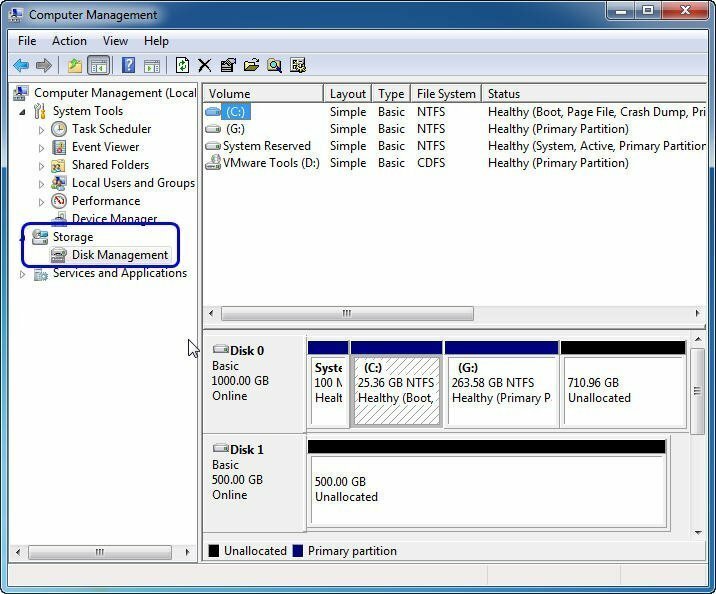 Windows 7 built in Disk Management is a free tool for users to manage their partitions. Right click "Computer" on the desktop to choose "Manage", on the left of open window, you will find Disk Management in "Storage". 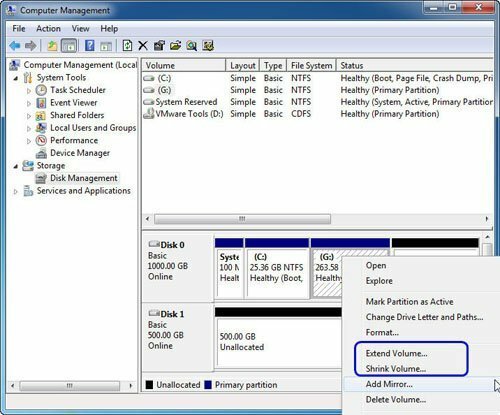 With the help of Disk Management tool in Windows 7, users could do some simple operations of disk partition management, like create partition, format partition, delete partition, and the new (compare with XP) function of Windows 7 to shrink volume or extend volume. You can right click one partition to select new function. 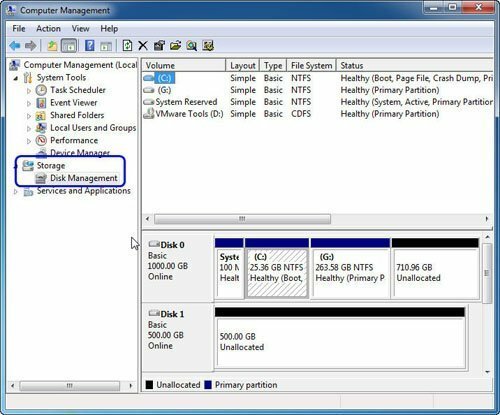 Microsoft adds the new function to assist users manage their partition size without third-party partition tool. In the former Windows XP, 2000, 2003, there is no option of free built-in tool to resize partition. There were only two ways, reinstall operation system or purchase Partition Magic (a powerful partition tool in the past). In order to solve "extend volume grayed out" problem, users always want to choose software to help them manage their partitions easily and safely. As the latest partition magic Windows 7, AOMEI Partition Assistant Pro Edition contains many functions, such as resize partition, convert FAT32 into NTFS, align partition, merge partitions, allocated free space, migrate OS to SSD or HDD, convert GPT/MBR, convert dynamic disk to basic disk, etc. And it also has the friendly interface for users to follow the guide. You could download AOMEI Partition Assistant Pro Edition to experience the magic.